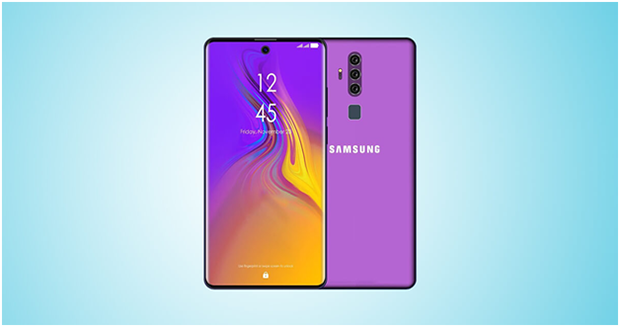 After the Samsung company announced Galaxy M10 and Galaxy M20, a new mobile which was in the series to be released named Galaxy M30 schematic diagram leaked by pricekart.com showing the diagram of the mobile as mentioned in the user manual. Just like other two M series phones, this mobile will also have a sharp radiant finish in blue and black color. Not only this, but the phone will also have a fingerprint sensor at the back. The difference between Galaxy M10 and M20 and M 30 is a triple camera set up which can be seen in the leaks. The camera is said to be a 13 MP with two 5 MP sensors making it different from others. This makes it a presumably a wide and a telephoto lens each. According to the diagram, the phone is 159mm long by 75.1mm wide. It also has a USB port at the bottom interestingly. The diagram does not show any headphone jack. The other rumored specifications tells that the phone has a 6.38-inch Infinity-V AMOLED screen with FHD+ resolution, and powered by an Exynos 7904 CPU. When we talk about the memory, it is said to have a 128GB of internal storage and 6GB of RAM. These specs make it an entry level device. The front camera has a 16MP one with an f/2.0 aperture lens while the same 5,000 mAh battery from the M20 powers the phone. There is no official description of galaxy M30 till now so we can only assume that the phone will have a 5000 mAh battery power likewise galaxy M20. If the device really exists, we are waiting for it to hit the markets soon.